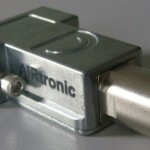 AIRtronic develops and manufactures welding- and electro-technical products primarily for the railway industry. Due to the demand of the rail vehicle operators of on-site manufacturing, produce our customers in the rail industry at various locations in the world. Therefore, we supply the rail vehicle manufacturers worldwide. 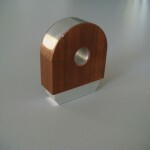 1985 – 1992 Our company’s founder concerned with the problem of the electrical connection of aluminium and copper. The solution was found in the high pressure pressing. Here, copper and aluminium is joined together under a pressure of 5 tons and there is a gas-tight connection between copper and aluminium. 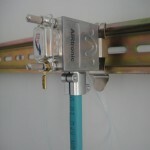 2002 With the series production of the product AIRcunal, the company AIRtronic was founded. 2003 The contact surfaces of the aluminium grounding lugs are coated with brass. The production of the stainless steel ground products is started. 2005 Custom cable assemblies are carried out. 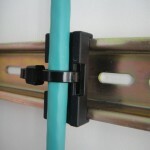 2011 AIRtronic can also manufacture connector (Sub-D and M12) for the railway industry.